Article 71 of the Constitution provides that disputes arising out of the election of the President or Vice-President shall be decided by the Supreme Court. The same article provides that matters relating to their election shall be regulated by a parliamentary law. So far as the Prime Minister and the Speaker are concerned, matters relating to their election are regulated by the provisions of the Representation of the People Act, 1951. Under this Act the High Court has jurisdiction to try an election petition presented against either of them. 2. The President, the Vice-President, the Prime Minister and the Speaker are holders of high offices. The President is not answerable to a court of law for anything done, while in office, in the exercise of his powers. A fortiori matters relating to his election should not be brought before a court of law but should be entrusted to a forum other than a court. The same reasoning applies equally to the incumbents of the offices of Vice-President, Prime Minister and Speaker. It is accordingly proposed to provide that disputes relating to the election of the President and Vice-President shall be determined by a forum as may be determined by a parliamentary law. Similar provision is proposed to be made in the case of the election to either House of Parliament or, as the case may be, to the House of the People of a person holding the office of Prime Minister or the Speaker. It is further proposed to render pending proceedings in respect of such election under the existing law null and void. The Bill also provides that the parliamentary law creating a new forum for trial of election matters relating to the incumbents of the high offices abovementioned shall not be called in question in any court. 3. Recourse was had in the past to the Ninth Schedule whenever it was found that progressive legislation conceived in the interests of the public was imperilled by litigation. It has become necessary to have recourse to this device once again now. Between 1971 and 1973 legislation was enacted for nationalising coking coal and coal mines for conservating these resources in the interests of steel industry. These enactments have been brought before courts on the ground that they are unconstitutional. So is the case of sick textile undertakings which were nationalised in 1974. To prevent smuggling of goods and diversion of foreign exchange which affected national economy Parliament enacted legislation which again has been challenged in the Supreme Court and in High Courts. 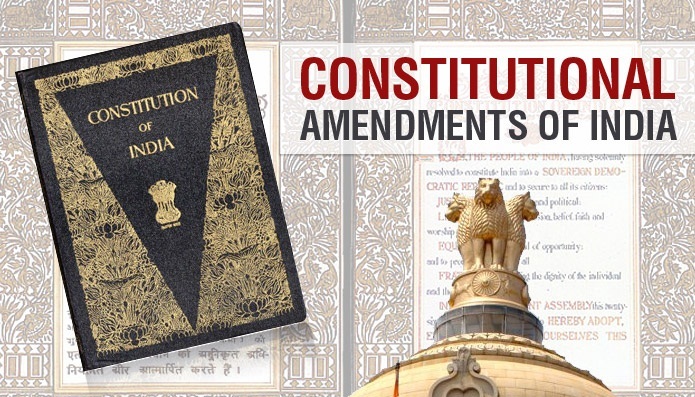 These and other important and special enactments which it is considered necessary should have the constitutional protection under article 31B, are proposed to be included in the Ninth Schedule. Certain State legislations relating to land reform and ceiling on agricultural land holdings have already been included in the Ninth Schedule. Certain amendments made to these legislations also require protection of the provisions of article 31B. 4. The Bill seeks to give effect to the above objects. 1. Short title.-This Act may be called the Constitution Thirty-ninth Amendment) Act, 1975. Provided that the election of a person as President or Vice-President shall not be called in question on the ground of the existence of any vacancy for whatever reason among the members of the electoral college electing him. (2) All doubts and disputes arising out of or in connection with the election of a President or Vice-President shall be inquired into and decided by such authority or body and in such manner as may be provided for by or under any law referred to in clause (1). (3) The validity of any such law as is referred to in clause (1) and the decision of any authority or body under such law shall not be called in question in any court. (4) If the election of a person as President or Vice-President is declared void under any such law as is referred to in clause (1), acts done by him in the exercise and performance of the powers and duties of the office of President or Vice-President, as the case may be, on or before the date of such declaration shall not be invalidated by reason of that declaration.". 3. 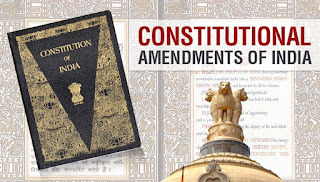 Amendment of article 329.-In article 329 of the Constitution, for the words "Notwithstanding any thing in this Constitution", the words, figures and letter "Notwithstanding anything in this Constitution but subject to the provisions of article 329A" shall be substituted. shall be called in question, except before such authority [not being any such authority as is referred to in clause (b) of article 329] or body and in such manner as may be provided for by or under any law made by Parliament and any such law may provide for all other matters relating to doubts and disputes in relation to such election including the grounds on which such election may be questioned. (2) The validity of any such law as is referred to in clause (1) and the decision of any authority or body under such law shall not be called in question in any court. (3) Where any person is appointed as Prime Minister or, as the case may be, chosen to the office of the Speaker of the House of the People, while an election petition referred to in clause (b) of article 329 in respect of his election to either House of Parliament or, as the case may be, to the House of the People is pending, such election petition shall abate upon such person being appointed as Prime Minister or, as the case may be, being chosen to the office of the Speaker of the House of the People, but such election may be called in question under any such law as is referred to in clause (1). (4) No law made by Parliament before the commencement of the Constitution (Thirty-ninth Amendment) Act, 1975, in so far as it relates to election petitions and matters connected therewith, shall apply or shall be deemed ever to have applied to or in relation to the election to any such person as is referred to in clause (1) to either House of Parliament and such election shall not be deemed to be void or ever to have become void on any ground on which such election could be declared to be void or has, before such commencement, been declared to be void under any such law and notwithstanding any order made by any court, before such commencement, declaring such election to be void, such election shall continue to be valid in all respects and any such order and any finding on which such order is based shall be and shall be deemed always to have been void and of no effect. (5) Any appeal or cross appeal against any such order of any court as is referred to in clause (4) pending immediately before the commencement of the Constitution (Thirty-ninth Amendment) Act, 1975, before the Supreme Court shall be disposed of in conformity with the provisions of clause (4). (6) The provisions of this article shall have effect notwithstanding anything contained in this Constitution.". "87. The Representation of the People Act, 1951 (Central Act 43 of 1951), the Representation of the People (Amendment) Act, 1974 (Central Act 58 of 1974) and the Election Laws (Amendment) Act, 1975 (Central Act 40 of 1975). 92. The Maintenance of Internal Security Act, 1971 (Central Act 26 of 1971). 101. The Alcock Ashdown Company Limited (Acquisition of Under-takings) Act, 1973 (Central Act 56 of 1973). 107. The Maharashtra Agricultural Lands (Ceiling on Holdings) (Amendment) Act, 1965 (Maharashtra Act XXXII of 1965. 122. The Tripura Land Revenue and Land Reforms (Third Amendment Act, 1975 (Tripura Act 3 of 1975). 124. The Dadra and Nagar Haveli Land Reforms (Amendment) Regulation, 1973 (5 of 1973). ".